Heritage Global Inc. is a value-driven, innovative leader in asset valuations & transactions. We deliver global solutions & options to maximize value. Heritage Global Inc. (OTCQB: HGBL, CSE: HGP) is a value-driven, innovative leader in corporate and financial asset liquidation transactions, valuations and advisory services. Heritage Global focuses on identifying, valuing, acquiring and monetizing underlying tangible and intangible assets in twenty-eight global industrial and financial sectors. 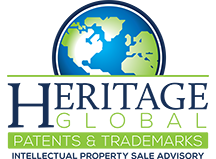 Heritage Global specializes both in acting as an adviser, as well as acquiring or brokering turnkey manufacturing facilities, surplus industrial machinery & equipment, industrial inventories, accounts receivable portfolios, related intellectual property, and entire business enterprises.